Welcome to Lake Mead Baptist! We are so glad you're on our website, and we hope to meet you soon. Below is some information that should answer most of your questions. Feel free to browse around the rest of the website to learn more about us! Rev. Scott Adams has been the Pastor here at Lake Mead Baptist since 2008. Click Here to get to know a little about him and his family! 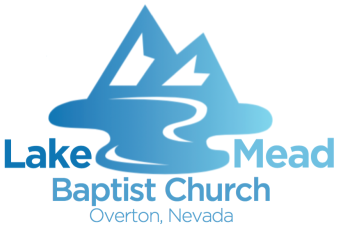 What is the history of Lake Mead Baptist? Lake Mead Baptist has been located in the Moapa Valley since 1989, We are one of the only Southern Baptist churches in the Moapa Valley. There's a place for you here, and we look forward to seeing you soon. Our church campus is located at 725 N. Moapa Valley Blvd, Overton, NV 89040 (Get Directions). Nursery care is provided for young children during our Sunday morning worship service. We also provide children's church for those children who are to old for the nursery, but not quite old enough to sit through the sermon. We have also have Sunday school classes for all age groups and youth group that meets on Sunday night at 5:30.